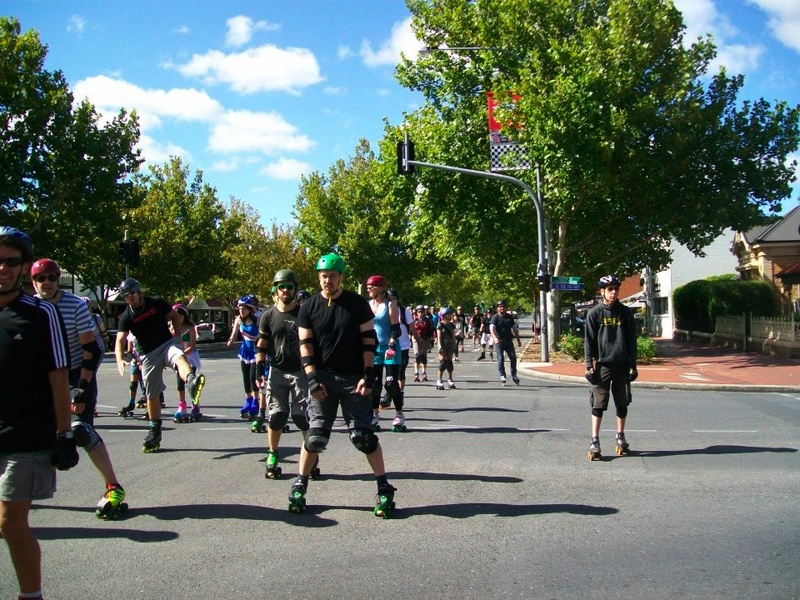 Skatefresh student was lead marshal in Adelaide’s first ever street skate. Steve Hill is one of Skatefresh’s regular advanced students in London and during a long holiday in Australia, he skated as many places as possible. Steve will be returning to London during 2012 and is attending the ICP Level 2 instructors course in August. Here is what he was up to down under. I spend about half the year in Australia, and on my most recent visit I was in Adelaide for several months at the start of 2012. By chance, soon after I arrived I heard that Skate South Australia were planning to get a street skate organised in the city centre. I went to a planning meeting and, having told them that I had a lot of experience as a marshal on the London street skates, I found myself appointed lead marshal for their first street skate, which took place on a very warm summer’s day in February. 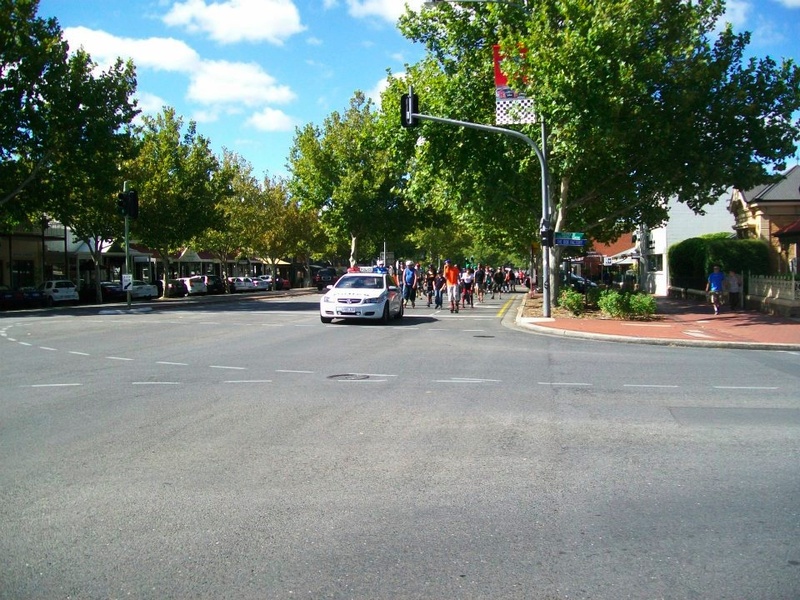 Adelaide is laid out in a grid pattern and has very wide streets – the main street, 40m wide, is the largest street of any Australian capital city, and the other streets are almost as wide. So the intersections are too big to be blocked by skate marshals as in the London street skates. Cooperation with the police was therefore essential. We had to have several police cars present to maintain safety, and the route for the first skate only involved making left-hand turns, being 2 laps of a 3km circular route. All the marshals received training beforehand from a police traffic officer, and were issued with official identity cards. It was a big success, attracting over 100 skaters to the first event. All types of skaters were there, including many who had never skated on the street before – fortunately Adelaide is very flat and no braking skills were required! It was great to have been involved with getting a new city street skate started. I’m hoping to return to Adelaide later this year and looking forward to skating there again. The skate has its own facebook page here, so do check them out if you find yourself with skates in Australia.